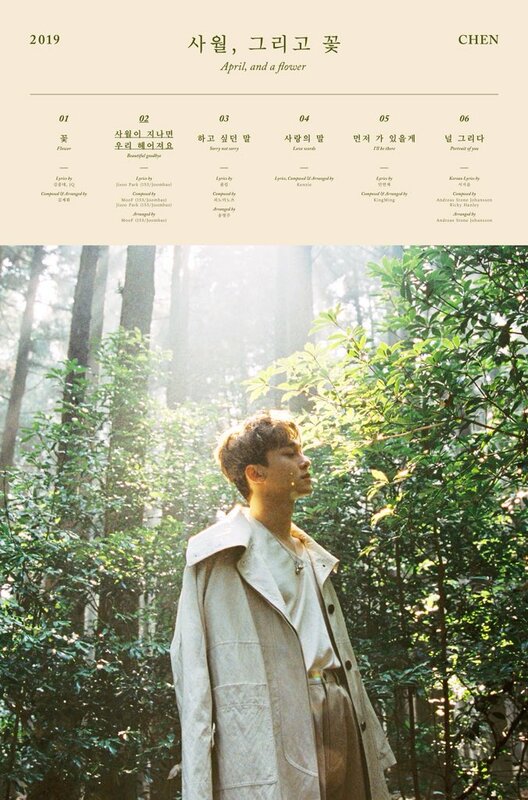 Chen finally let his fan know the details of his first mini album ‘April, and a flower’. There are six songs in the album: ‘Flower’, title track ‘Beautiful Goodbye’, ‘Sorry Not Sorry’, ‘Love Words’, ‘I’ll Be There’ and ‘Portrait of You’. The official teaser image will slowly be released from 25th of March until 31st of March. Audio teasers are to be released in five days, on the 27th and 28th of March. You can check his full schedule in our article here! Keep following Officially Kmusic for the latest comeback!